Attention of aspirants of CGLE 2017 is invited to the instructions of DoPT contained in their OM No. 14017/70/87-Estt. (RR) dated 14.7.1988 specifying the provisions for determining the crucial date for calculation of Age and Educational Qualification for a Competitive Examination held by Staff Selection Commission as per the schedule of the Tier-II/Mains/Second Part of the Examination for that particular year. 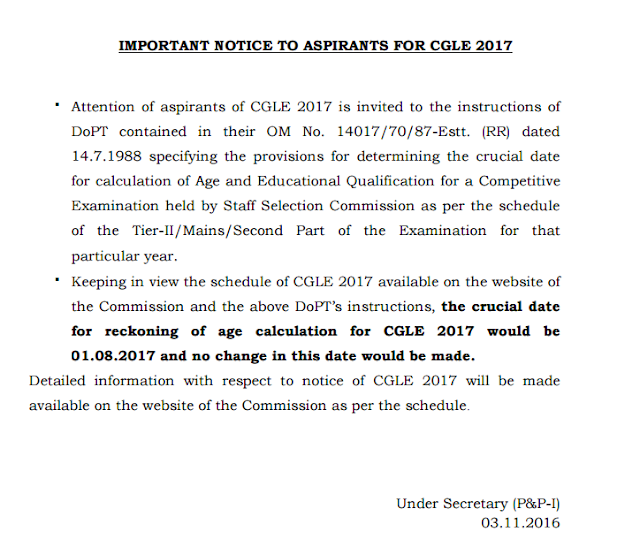 Keeping in view the schedule of CGLE 2017 available on the website of the Commission and the above DoPT’s instructions, the crucial date for reckoning of age calculation for CGLE 2017 would be 01.08.2017 and no change in this date would be made. 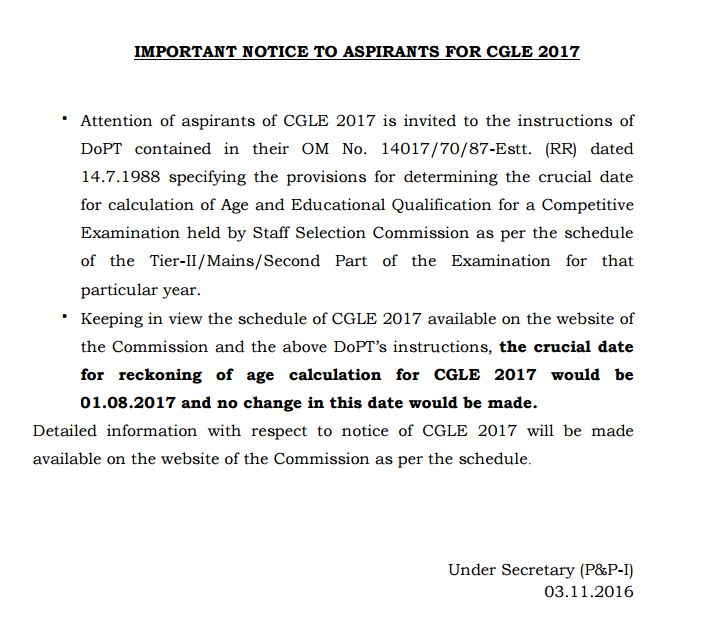 Detailed information with respect to notice of CGLE 2017 will be made available on the website of the Commission as per the schedule.